The impressively looking soundbar from KlipXtreme redefines the way you experience audio. This is a low profile one-piece stereo system that allows you to enjoy deep bass vibes wired or wirelessly, without the extra space. The system streams music from any Bluetooth-enabled device within a range of up to 33 feet from the audio source. Non-Bluetooth audio devices can also be easily connected via RCA and auxiliary input jacks for added functionality. 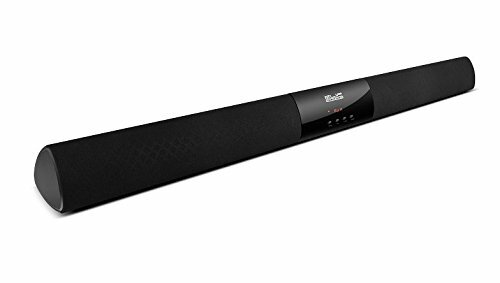 The soundbar is able to deliver 80 watts of stage quality audio with cinema-like accuracy, making it an exquisite addition to your entertainment room or home theater system!